Jewish tradition says that we begin “counting” our lives again once we turn 70. 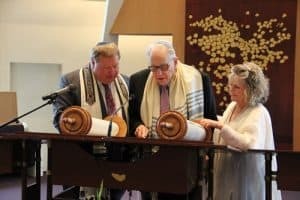 So for the 83-year olds among us, it is time to celebrate Bar/Bat Mitzvah all over again. As it is, as well, for those who never had the opportunity to become Bar or Bat Mitzvah when they turned 13. For Jews-by-choice, for women raised in a tradition which did not treat girls equally, for those who were raised without formal Jewish education, or for any of a number of other reasons, many adults are choosing to go through a cycle of learning and study, preparation and personal growth that leads to this powerful and deeply moving celebration of Jewish accomplishment. 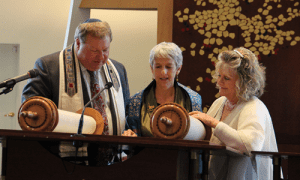 Those interested in finding out more about the Adult Bar or Bat Mitzvah program at Temple Shalom should speak with one of our clergy.